Does your building need a Roof Repair or Roof Replacement? There comes a time in the life of every building when the roofing system will need to be repaired or replaced. 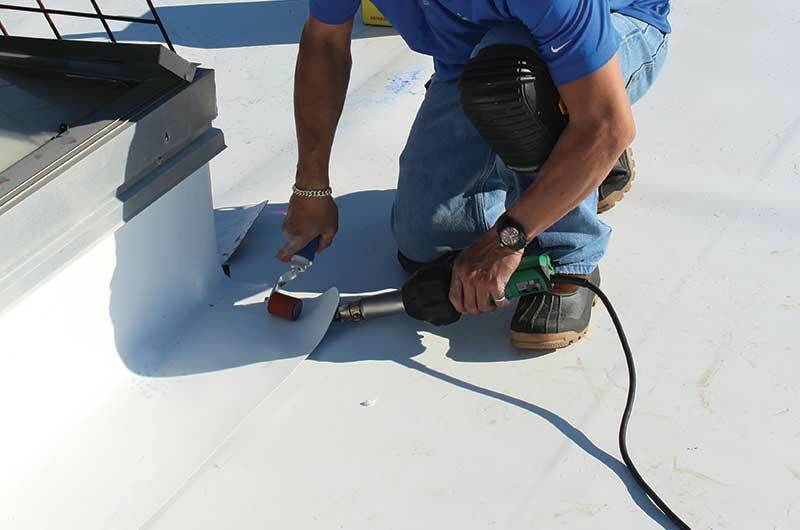 If your current roofing system is older and beginning to experience chronic leaking or if the roof system is lacking insulation and not energy efficient, it may time to consider a replacement instead of a repair. Peace of mind – concentrate on minding the business and forget you own a roof! The cost of frequent maintenance or repair of structural damage due to leakage can be expensive. We can help advise whether your best solution is continuing to repair or complete a roof replacement by conducting a comprehensive roof evaluation. We will provide a detailed report showing the condition of the existing roof system, where weaknesses or failures are taking place, and a suggested course of action to provide you with the most cost effective means to prolong roof life, or when necessary, replace the roof. 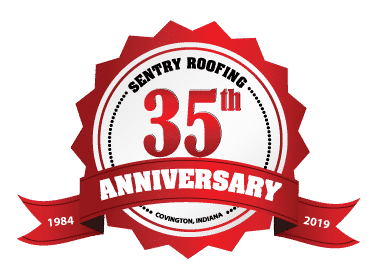 Sentry Roofing, Inc. has over 34 years of experience in the commercial and industrial roofing industry specializing in single ply membrane installations. Our services include roof inspections, repairs to all roof types, partial and full roof replacement and all metal work associated with roofing. We market our services primarily in Indiana and Illinois and for national accounts have completed successful installations in 41 states, including Hawaii. 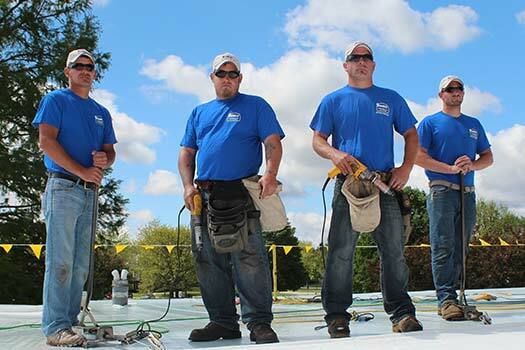 Our roofing crews are professional, courteous and skilled. We work everyday to make sure you are satisfied with all we do on site. We pride ourselves on building long term relationships with building owners and general contractors and have many accounts who have worked with us for more than 30 years. On average 75% of our annual volume is derived from repeat business or direct referrals from satisfied clients. Of the approximately 2500 Duro-Last Roofing System contractors nationwide only 49 have achieved Platinum status. Sentry has achieved that level due to volume, quality installations and outstanding customer service. Sentry is also a Master Contractor for Firestone and GAF roofing systems, and an applicator for Versico roofing systems as well. During construction we make sure to keep your building and occupants dry and safe from leaks and weather. This involves continuous weather monitoring both on site and in our offices and adequate temporary night seals at the end of each work day. We strive to ensure that your inventory, equipment, employees and clients all have a safe and dry environment to continue day-to-day activities. Safety is our top priority, both for your clients and personnel and for our on-site crewmen. 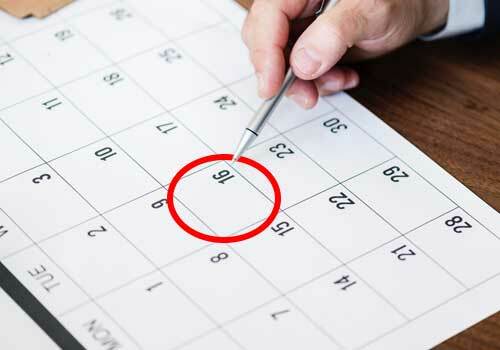 With rare exceptions, your building occupants and business operations can continue as normal with minimal to no interruption when you contract with Sentry for roofing work. Our crews are courteous and considerate regarding your facility and know that impact to your operations from construction work must be minimized. Our goal is to be “as invisible as possible” while working at your facility. We will conform to specified working hours, stage materials and vehicles only where agreed, and communicate daily with your designated on site contact regarding work areas or any special requirements. We will plan together to coordinate work areas and devise a construction schedule that works best for your facility. In every aspect of the job from storage to roof access we coordinate with facility management to manage all details of the job. If there are company policies or safety requirements beyond our standard practices, we will comply without question. You can rely on Sentry Roofing to make your roof repair or replacement experience as safe and hassle-free as possible. 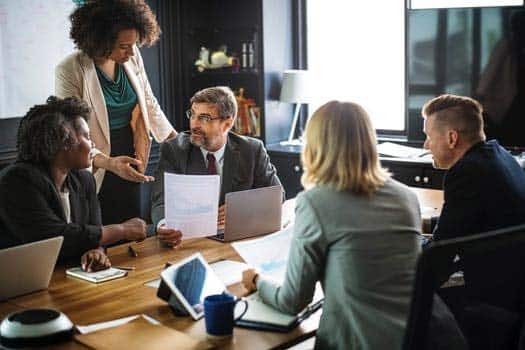 Our site foreman will communicate daily with your team to ensure the plan for the day is appropriate and all is being done to your complete satisfaction. You will be aware of our progress every step of the way and if anything needs to be corrected, it will be done immediately. This will keep us both on track to get the job done on time and on budget. If you have any questions or concerns, our foreman or project managers will be readily available to assist you.